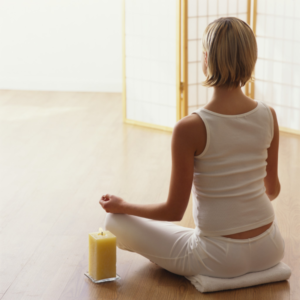 Mind/Body Medicine is a commonly used category of Complementary and Alternative Medicine (CAM). Mind/Body techniques use the mind, thoughts, and emotions to influence physical health. The mind and body are profoundly interconnected and are perhaps indistinguishable. Whereas the mind can make the body sick and create dis-ease, it can also trigger the body’s innate healing capabilities. Research supports the use of Mind/Body techniques to improve numerous conditions including immune function, stress, anxiety, depression, insomnia, migraines, headaches, digestive issues, chronic pain, heart disease, high blood pressure, and cancer. Anyone and everyone can benefit from Mind/Body techniques. Each class includes: Each class is $60 and includes a 2.5 to 3 hour downloadable recorded class taught by Dr. Christina, a detailed manual in PDF form, and additional written materials. Complete all 6 classes and receive a 30 to 45 minute individual phone or web consultation with Dr. Christina to discuss class content and answer any of your questions. Registration Info: Contact Dr. Christina Wilke-Burbach with any questions: mindsoulandself@yahoo.com or 608.393.7353. To register, pay for the class in full and within 24 to 48 hours Dr. Christina will email you the recordings, workbook, and additional materials. Pay for the whole 6 class series in advance and receive a 10% discount! Please note, all sales are final.